It's not rubber, it's not plastic, it's Croslite™ foam - only from Crocs and really, really comfortable. Croslite™ is a closed-cell foam resin with a near-perfect mix of softness, rebound and cushion. 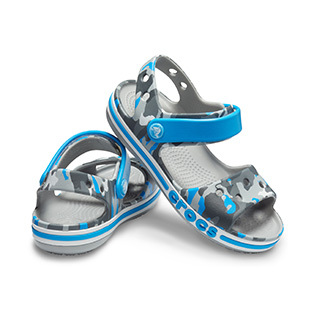 It gives each pair the lightness and one-of-a-kind feeling that made Crocs famous. Softer foam footbed on top of Croslite™ foam outsole. We have added a softer foam footbed with extra cushioning power. It has more arch support, a cushioned heel and "sink-into-it" softness that hugs your feet as you walk. 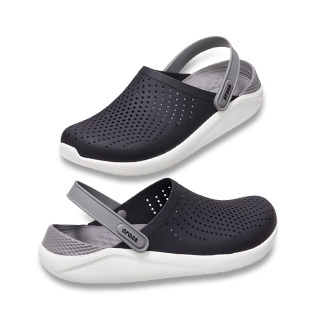 This new footbed takes our signature Crocs comfort to the next level, making this one our most comfortable styles to date. Our softest, sink-into-it feeling: memory foam pillow on top of a Croslite™ foam base – for all-day cushion.